Pension and health care reforms introduced in Greece following the 2009 crisis, and the bail out agreements signed with the Troika of the European Commission, the European Central Bank and the International Monetary Fund, have attracted attention because of the significant cuts they entailed. Drawing on recent research, Marina Angelaki writes that focusing exclusively on retrenchment gives only part of the picture as it masks other transformative processes with long-term effects that have taken place in both systems over this period. Not long after the onset of the global financial crisis, Greece came into the European spotlight. Heavy public indebtedness became apparent after a revision of fiscal data in 2009 by the (then) newly elected socialist government led to an increase in the deficit figures from 3.7 per cent of GDP to 13.6 per cent, and an increase in the national debt from 99.6 per cent of GDP to 115.1 per cent, leaving the country vulnerable to the crisis. The immediate reaction of international financial markets was the downgrading of the country’s credit rating, raising the cost of borrowing to prohibitive levels. 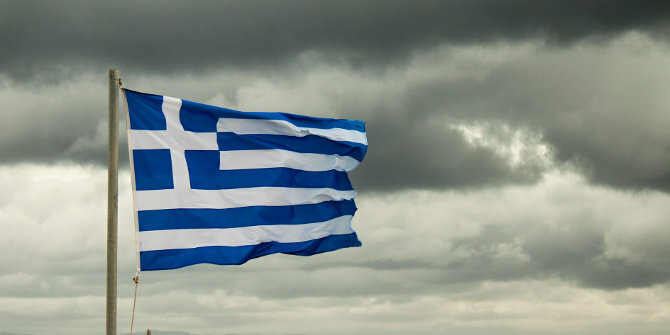 Against the backdrop of a continuous deterioration in the economic situation, the Greek government announced a bailout agreement with the Troika, conditional on the adoption of a detailed list of reform measures. In a recent study, I examine the content of the reform measures in the pension and health sectors in Greece in the post-crisis period in terms of their content and their future impact on the architecture of both systems. While the Troika has been associated with severe retrenchment, it is also true that both the pension and health systems were faced with significant sustainability, adequacy and modernisation challenges well before the crisis and the advent of the Troika. In relation to financial sustainability, the European Commission’s projections published in 2009 showing a doubling of expenditure between 2007 and 2060 were already a cause for alarm, even though this was ignored by the conservative government of that period. Similar concerns over a future increase in expenditure were also raised in the case of health. What the crisis (through its impact on the country’s access to credit) showed beyond any doubt was that the strategy pursued in both sectors until that point (consisting of measures aimed at providing some short-term financial leeway to the system while minimising the political cost associated with more radical interventions to address structural problems) had reached its limits. It also made evident that reforms of the pension and health sectors would be key in the fiscal consolidation effort. Significant retrenchment has therefore been a core feature of the fiscal consolidation effort and one which has attracted popular attention. In the pension sector, the introduction of significant cuts has led to an estimated reduction of pension benefits for current pensioners of close to 50 per cent in certain cases. Pension benefits for future pensioners are equally expected to be half the amount of current ones as a result of new mechanisms for the calculation of benefits. In the health sector, significant cuts and cost-containment has taken precedence over other concerns regarding the quality of services or ensuring universal access. Notwithstanding the importance of this retrenchment, focusing only on this feature diverts attention from other important changes that have also taken place. In the pension sector, retrenchment has been accompanied by the adoption of a more unified structure through the harmonisation of rules and the introduction of measures to tackle fragmentation. More importantly, though, a hesitant shift to a multi-pillar structure has taken place through a (long overdue) separation of social assistance from social insurance functions. Yet, this has not been accompanied by measures to strengthen occupational pensions which remain non-existent in Greece. This latter point, in combination with the significant cuts in the public pillar, has resulted in the emergence of a system where the public pillar remains dominant, yet significantly reduced, raising concerns over the adequacy of pension levels. In the health sector, efficiency gains have not been used to strengthen safety nets or quality services, leading to downward universalism and raising concerns over creeping privatisation leading to the exhaustion of the public system. The introduction of the above measures has been made possible through an increase in “EU intrusiveness” in the context of bailout agreements, standing in sharp contrast to the ‘soft’ EU leverage in the social field observed during the previous period. In addition to the increase in EU intrusiveness, the ability of social partners to change or even block reform outcomes, as in the previous period, has decreased. Overall, the reforms have led to the gradual erosion of the public character of both systems and a shift towards residualism, a process with profound effects on the future character of the Greek welfare state. While this shift to residualism seems to confirm the popular belief that associates the advent of the Troika with the imposition of austerity, recent evidence from the Irish case shows a different picture, with the national government being allowed more room for manoeuvre. The Irish experience raises questions regarding the extent to which the Greek government could have pursued a different strategy, taking into consideration not only financial sustainability concerns, but also those associated with (among others) adequacy and efficiency. Note: This article was originally published on the EUROPP – European Politics and Policy Blog. It gives the views of the authors, and not the position of Greece@LSE nor the London School of Economics. Marina Angelaki is a Teaching Associate at Panteion University of Social and Political Science in Athens. This entry was posted in current affairs, Greece, Healthcare. Bookmark the permalink.